Namaste and Welcome to Prana Yoga KL. 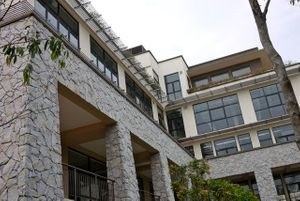 Located at the exclusive Pusat Kreatif Kanak Kanak Tuanku Bainum, TTDI, we offer daily yoga classes for adults and children in a calm, safe and nurturing environment. The types of yoga taught are for Beginners, Intermediate and Advance levels, Prenatal and Postnatal Yoga, Kids Yoga and Yoga Therapeutics. Prana Yoga KL also conducts Teacher Trainings, workshops, kids holiday camps, corporate yoga classes, as well as local and overseas retreats. In the spirit of service, we actively host and participate in local and global Bhakti Yoga projects to raise funds, and to spread peace, love and positive social change, through the unity of a borderless yoga community. Yoga in our studio, is pure teaching from the heart by certified and dedicated teachers, to small groups. We are connected to our passion by weaving our love for life, creativity and yogic philosophy into a safe, dynamic and heart-centred yoga practice. Practising yoga here is not about the achievement of poses, but about making each practice a personal step towards wellness, self transformation and living your best life. Step into an oasis of peace and tranquility, and experience inner-outer rejuvenation, radiant health, inner happiness and holistic living. 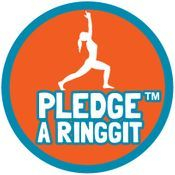 PLEDGE A RINGGIT™ is our ongoing commitment to bring HOPE, LOVE, JOY and STRENGTH to other living beings through yoga. Every time you come for a yoga class, Prana Yoga KL donates RM1 into Pledge A Ringgit™ Fund, our ongoing commitment to help make positive social and environmental change. Click here to find out more and how you can get involved. Prana Yoga KL is the first yoga studio in Malaysia to devote daily Karma Yoga as a spirit of service. We invite you to be part of our growing community. When you practice yoga with us, you make a difference not just to yourself, but to others too. Thank you and Namaste. 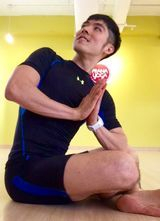 Raymond Lim started his yoga journey in 2005. That’s when he noticed how Yoga gradually transformed his body to become stronger, more agile and most importantly, it has completely cured his gastric and other immunity related sickness. From then on, Raymond was determined to dive deeper. He went to India in 2008 and trained under Yogacharya Bharath Shetty in Yoga India (Mysore). He went back to India again the following year to study classical Hatha, Advanced Pranayama and Meditation with another guru, Yogacharya Ramesh Kumar. He has completed the Yin Yoga Teacher Training with Paul Grilley in 2014 in Thailand and has studied under teacher trainer, Christina Sell in Singapore. He is also a certified Balanced Body® Mat Pilates and MOTR Instructor. Raymond aims to help his students, regardless of body size and capabilities, to develop a breath-initiated mindful practice, with emphasis on safety, alignment and gradual progression. Raymond is the co-founder of Prana Yoga KL and Pledge-A-Ringgit® social enterprise. Angeline Liew is the Principal Teacher/Co-Founder of Prana Yoga KL, in Malaysia. She is a Yoga Alliance RYT500/RPYT/YACEP instructor and was trained in 2008 in Mysore (India), under Yogacharya Bharath Shetty, as well as with proficient teachers like Yogacharya Ramesh Kumar (Mysore), Edward Clark (UK), Paul Grilley, Dr Jean Byrne, Michelle Papa and Christina Sell. She holds a 500Hour Certification in Tripsichore Vinyasa Yoga (UK) and is also a Mindful Birth Graduate from The Yoga Space Perth, and the first Yoga Alliance Registered Pre and Post Natal Yoga Teacher in Malaysia. Angeline teaches Vinyasa Flow, Hatha Yoga, Pre and Post Natal Yoga, Yin Yoga, Myofascial Release and Yoga Therapeutics, focusing on spinal care. She is also the Lead Trainer for Prana Yoga's 100Hour Pre and Post Natal Yoga Teacher Training. Angeline’s teaching style infuses an authentic and classical approach to yoga, based on personal exploration, and the energetic alignment of body, breath, prana and mind. Her passion is to make yoga accessible to practitioners of all levels, and to help them live their best lives through the practice. Apart from teaching workshops and retreats globally, Angeline is also very active in “Compassion for Action” off-the-yoga-mat projects, to create positive social and environmental change through her studio's social enterprise, Pledge A Ringgit, which she co-founded in 2013. Siew Mei discovered yoga in the year 2000. After completing her 200 Hour Teacher Training at Manasa Yoga, she continued her pursuit of her love of yoga, by traveling to Rishikesh, India on "A Journey Of the Mind" pilgrimage. Siew Mei's passion for yoga is evident in her patience and precise attention to safety and alignment in her Hatha and Vinyasa classes. To fuel her passion, she attends workshops by international teachers like Simon Borg-Olivier, Sara Avant-Stover, Matej Jurenko, Desiree Rumbaugh and Edward Clark, to name a few. Siew Mei is also a 500 Hour and Prenatal Yoga certified teacher, and actively teaches in studios and fitness centres around KL. Vivian Goh has been practicing yoga since 2002. She strongly believe that happy life begins with a balanced lifestyle. Through her years of experience in practicing yoga, yoga has made many positive changes in her life. Vivian is keen to share and adapt her knowledge and experience into Pregnancy Yoga. She feels that Pregnancy is God’s special privilege where a new life grows and matures within the womb of an expectant mother. More importantly, pregnancy is the time where only the expectant mother is able to breathe, feed and nurture two lives within her body at the same time (to build strong physical and emotional strength). Edison Tan is a 200-Hour Certified Yoga Teacher. He obtained his certification from YSynergy (Malaysia), and has studied intensively under Senior Iyengar Teachers like Justin Herold, Bobby Clennel, the late Karin O’Bannon, Peter Scott, Rina P Ortiz and Nanda Kumar. His teaching style emphasizes the importance of alignment, intelligent sequencing, proper breathing technique, self-awareness and safety. Expect longer holding static poses, usage of props and modifications, when you practice with Edison. His passion also lies in teaching Restorative Yoga, especially in today’s highly stressful lifestyle. Apart from Yoga, Edison is also a Certified Personal and Rehab Trainer with ACE (American Council on Exercise) and holds an Executive Diploma in Preventive Health & Nutrition from Open University Malaysia. Lily Yap is a certified yoga alliance teacher graduated from Inspya Yoga, Australia. She began teaching and sharing her passion in early 2007. Lily later on obtained her Singapore's Yoga In Asia 20 Hour Yin Yoga TTC, Sun Yoga Kids International TTC, Sun Yoga Prenatal Yoga International TTC, Fitball TTC and Stott Pilates-Matwork TTC. She focus on correct pose alignment as well as creating a condusive atmosphere for practitioners to learn yoga safely with personal attention. EVELYN KEE is a 200-Hour Certified Yoga Teacher, having studied intensively with the Malaysian Association of Yoga Instructors (MAYI) and Fitness First. She is also a certified Prenatal Yoga and Yin Yoga Teacher. Evelyn has studied with international yoga teachers like Simon Borg Olivier, Michelle Lam and Sebastian Pucelle, and has keen interest in integrating anatomical observations and self-awareness with yoga, to make the practice suitable for different body types and various levels of strength and flexibility. She teaches group Hatha classes and Corporate Yoga in and around KL. Coming from a ballet and dance background, Carina graduated with a BA in Dance from the Victorian College of the Arts, University of Melbourne, Australia. She went on to become a certified Stott Pilates instructor, teaching matwork, reformer and studio equipment in 2009, and in 2011, she became a certified Xtend Barre instructor. She then taught Pilates and Xtend Barre at various gyms, studios and physiotherapy clinics across Melbourne, Gold Coast and Cairns. It wasn't until in Gold Coast where Carina discovered her love of yoga and started practicing with Mark Togni and Cameron Storey in the Ashtanga-Vinyasa method. Carina recently completed her 200Hour Yoga Teacher Training with Joan Hyman. With over 8 years of teaching experience, Carina’s classes are fun and challenging, but also with a strong focus on technique and alignment, bringing more light and awareness into your practice.